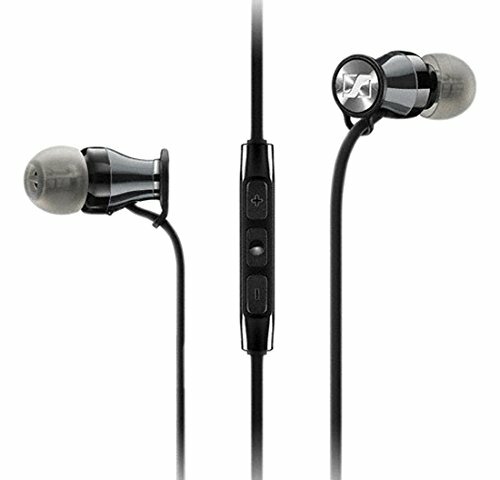 The HD1 In-Ear brings together elegant appearance and high-performance sound. Available in high-gloss black with red accents and mirror chrome detailing, these new earphones capture the style and sound of Sennheiser's HD1 headphones in a compact in-ear design - powerful bass, detailed vocal projection and great sound stage. A slim stainless steel enclosure and 4 sizes of ear tips ensure a perfect fit for excellent attenuation of external noise. The tangle free oval cable geometry imparts a solid feel of quality while contributing to superior sound quality. HD1 In-Ear will be available in Apple iOS and Samsung Galaxy versions featuring a convenient three-button in-line remote with integrated mic for music and call control. A premium carry case is included, finished with the same attention to detail and styling as the earphones.